Shikhar Training & Research Institute is established on 16.02.2009. The Training institute is working as state level Agriculture and Co-operative Staff Training Institute (ACSTI) under SOFTCOB Scheme of Financial Assistance for Training of Co-op Banks. Shikhar accredited by C-PEC, Lucknow. Shikhar is also recognized by the Govt. of Maharashtra by its GR Dated- 15.05.2015 for giving training to entire co-operative sector in Maharashtra. Shikhar is a part & parcel of The Maharashtra State Co-op Bank Ltd. Mumbai. Shikhar its having two channels one at Vashi, Navi Mumbai & another one at Nagpur. Our vision is to evolve into a strong, sound and competitive cooperative training institute, providing training to STCCS of Maharashtra. 1. 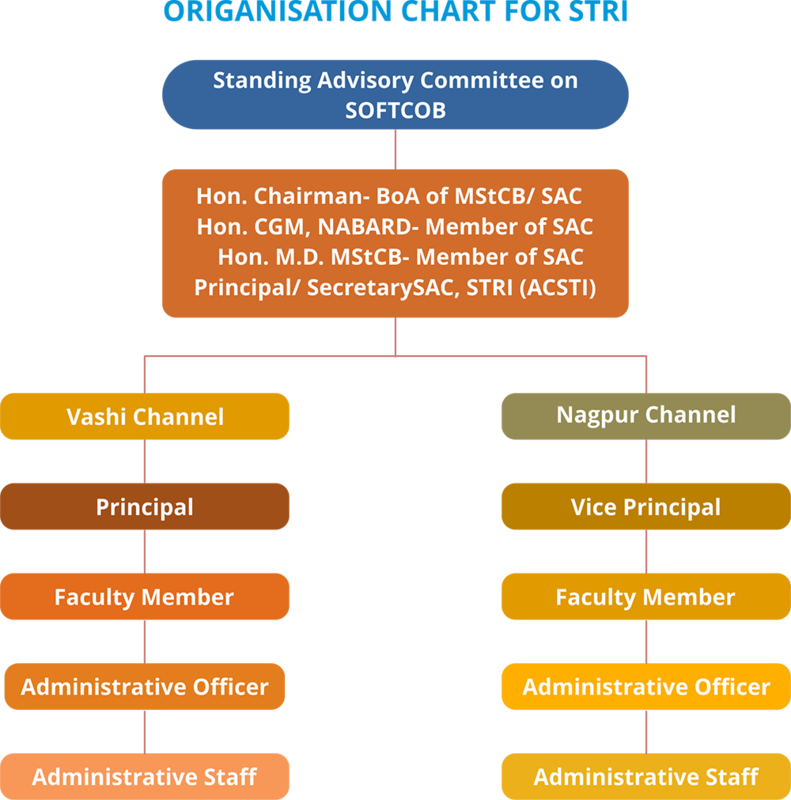 Create a bright working atmosphere, respecting harmony and communication among Cadre of STCCS. 2. Work in a harmonious manner, making the most effective use of time and observing the priority. STRI is organizing, conducting and evaluating training programmes for the personnel working in the co-operative sector in the state of Maharashtra. The main objective of the STRI is organizing need based training programmes and facilitates the process of human resource development in co-operative sector. STRI is having two training channels. Two conference halls (with A.C. facility). Two class rooms (with A.C. facility). Two hostels both having 30 participants accommodation facility. Two computer Labs with wifi. STRI is conducting training programmes for DCCB’s, Urban Banks, Board of Directors of PACS, staff & members of Housing societies, salary earner sty. etc. In the financial year 2016-17 Shikhar has conducted C-PEC approved 113 training programmes through which 2406 participants were trained. Shikhar has conducted total 29 Non C-PEC training programmes for UCB, Salary earner stys. Hsg. Stys. etc. through which 1077 participants were trained. Training is conducted for 7434 trainee days during the year.